A contractor has been appointed to oversee an £18 million project to end the gridlock at a notorious north-east roundabout. Farrans Construction will take the helm on the Haudagain improvement works, which are expected to be completed in 2021. 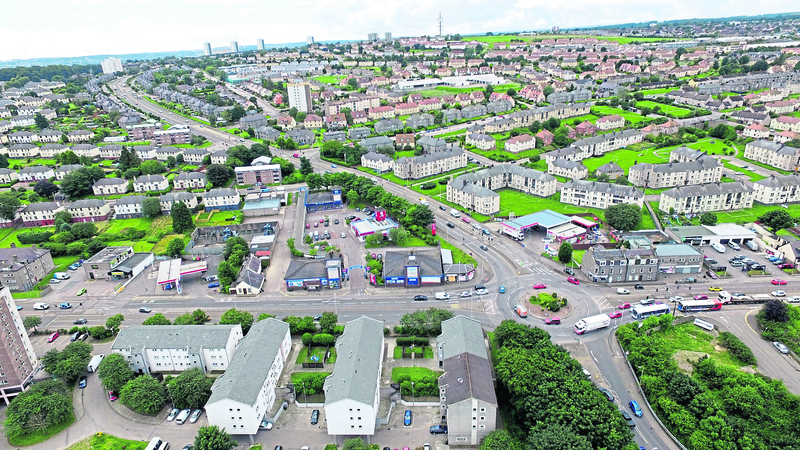 The Aberdeen roundabout was once dubbed the worst of its kind in Europe, and the project will involve the construction of a “bypass” linking North Anderson Drive and Auchmill Road to alleviate some of its regular bottlenecks. While improvements are already being experienced following the opening of large sections of the Aberdeen bypass, the Haudagain project has long been seen as the final piece in the puzzle to solve the city’s traffic woes for good. The value of the contract from Transport Scotland is more than £17.6m and includes the main 1,600ft road and three years of upkeep and maintenance. Balfour Beatty – one half of the consortium building the AWPR – had also been bidding for the work, but pulled out of the running earlier this year for unknown reasons. Work will begin once the last section of the bypass, the bridge over the Don, is completed in the new year. Last night, Aberdeen Donside MSP Mark McDonald said: “It’s great to see that the Haudagain contract has been awarded. Earlier this year dozens of homes were torn down to make way for the new road. Diggers and cranes were used to demolish 129 properties in the so-called Middlefield Triangle – the space which will be left between the new road and the Haudagain – and many of the families who were living there have been rehoused. Farrans Construction has headed up a number of major infrastructure projects since it was founded in 1940. It has worked on building sites across the world including in Sao Paolo, New York and the Sultan’s Palace in Abu Dhabi. Victoria Square shopping centre in Belfast, and others are in the final stages of building a £117m bridge over the River Wear in Sunderland. And closer to home it has taken the lead on projects including the £30m Ellon Community Campus and major roads linking the Dundee City Waterfront to the rest of the region.